ATLANTIC CITY, N.J. -- New Jersey police say someone scrawled graffiti on the state's tallest lighthouse. 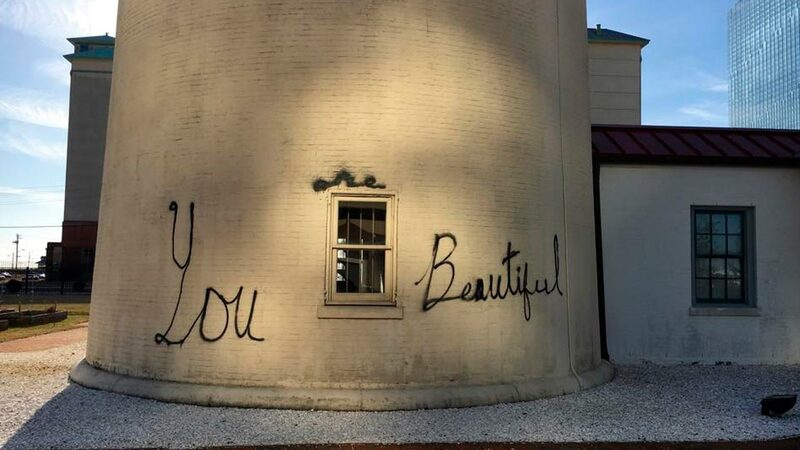 Sometime between Friday night and Sunday morning, Atlantic City police say an unidentified person spray painted "You are beautiful" on the Absecon Lighthouse. NJ.com reports workers have since painted over the words, removing them from the facade. Lighthouse Executive Director Jean Muchanic says it's unfortunate someone got onto the property and spray painted, but thanks the quick response of civic leaders to remove the graffiti. Police say they have no suspects. The Absecon Lighthouse is the tallest in the state and third tallest in the country at 178 feet.